Karter Huff started his martial arts journey in 2014 when he was 8 yrs old. He is currently a brown/black belt in karate and a gray/black belt in Jiu-Jitsu. 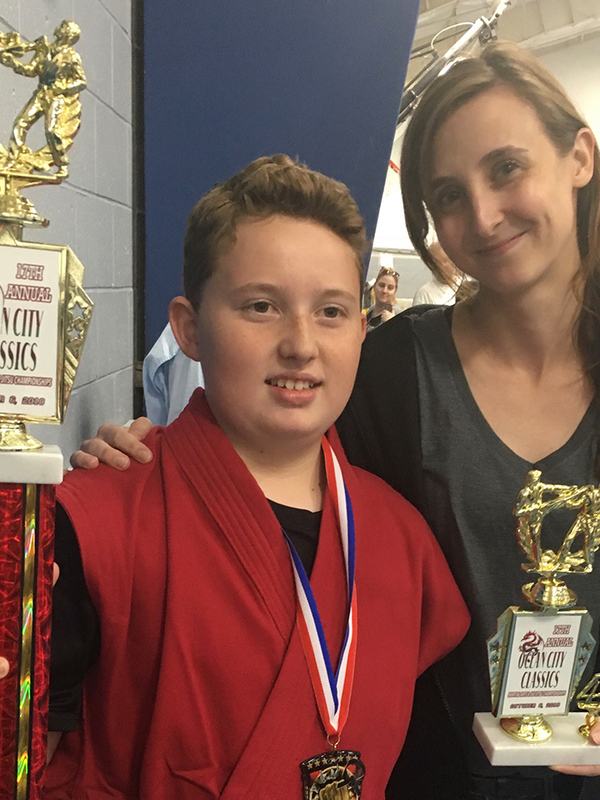 He shares his love of martial arts by helping other children reach their goals. Karter started assisting Ms. Kari teach in 2016 at the age of 10. He has won and competed in many karate tournaments as well. He is trained in the following weapons: bow staff, nunchucks, sword, kamas, kali, sai and knife disarms. His weapon of choice is nunchucks. He has also learned some tricking and techniques from an award winning martial artist. When not doing martial arts, Karter plays electric guitar, saxophone and drums. He also loves rebuilding his future car with his father and loves to run races with his mom.